Whether you’re diving, snorkeling, surfing, paddleboarding, or kayaking, you need a wetsuit that will keep you warm and protected. The men’s O’Neill Reactor wetsuit excels in both of these areas, and in fact is Amazon’s top wetsuit choice at the time of writing. So why is it one of the best options? Keep reading to find out. 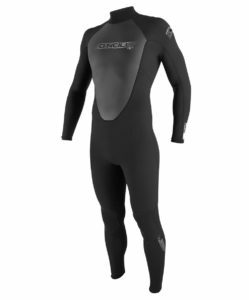 The men’s O’Neill Reactor wetsuit is a popular choice, especially for those who enjoy taking part in water sports during the summer months. Although it is a long sleeved suit, it is only 3/2mm thick, ensuring that you don’t get too hot when out of the water. Plus, it’s perfectly possible to unzip the wetsuit and wear it around your waist if needs be. The neck collar on the wetsuit can also be fully adjusted. This is ideal for people who don’t like clothing around their neck or who feel uncomfortable in restrictive swimwear. The men’s O’Neill Reactor wetsuit offers a good fit and is comfortable. However, it is recommended to buy a size larger than what you would normally wear, as the wetsuits do tend to fall on the small side. A size guide can be found below for those who need it. This wetsuit is also available in four different color designs: all black, black with blue detailing, black with purple detailing, and black with red detailing. All look stylish on, and which you prefer will be down to personal taste. The only negative point we can mention here is that it’s best not to buy this wetsuit with the aim of wearing it for all seasons. It really is designed just to be worn in warm waters, and it is too thin to wear in fall and winter temperatures. That said, for the price it’s ideal for summer use and is definitely worth buying if you have a thicker suit that is too warm to wear from June through August. The men’s O’Neill wetsuit is a top choice for those who enjoy taking part in summer water sports. It’s well designed, comfortable to wear, and built to last. 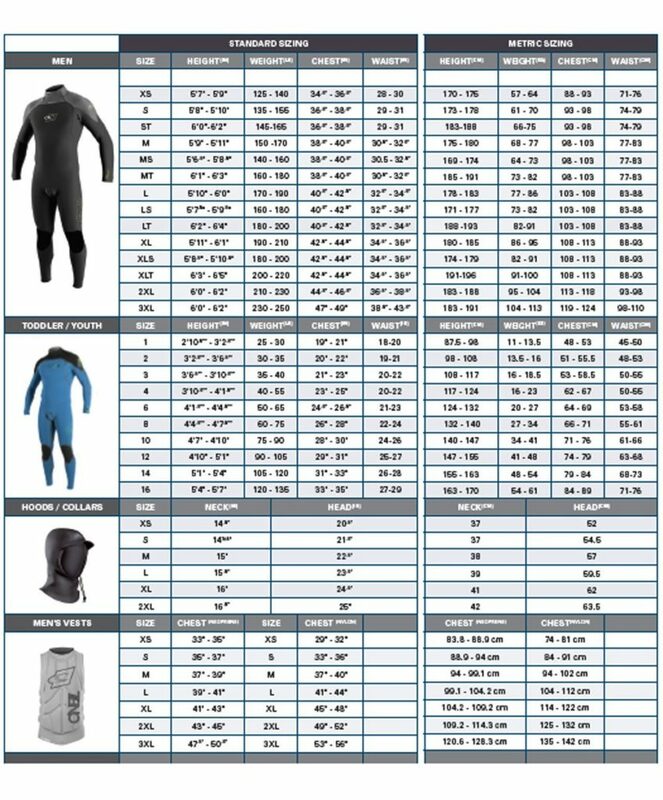 It’s a cheap wetsuit too, coming in at $114.95 on Amazon.com at the time of writing. We agree with the many positive reviewers out there that you’ll struggle to find a better summer wetsuit in this price range! This entry was posted in O'Neill, Reviews, Scuba Diving, Wetsuits and tagged Diving, O'Neill, Review, Scuba Diving, Surfing, Wetsuit, wetsuits. Bookmark the permalink.